Networks are deeply embedded in your world. Your brain consists of a dense network of approximately 86 billion neurons, all packed in clusters of different shape, size, and form. Your Facebook profile is a small drop in an ocean of over 2 billion interacting users. Almost any complex system can be modeled as a network of interacting parts. Given the prevalence of networks in our life and the world around us, there are many important questions to ask. How does a network evolve over time given its structural properties? How do you control the flow of information through a network? Victor Preciado has discovered the answer to some of these questions and is searching for the rest. 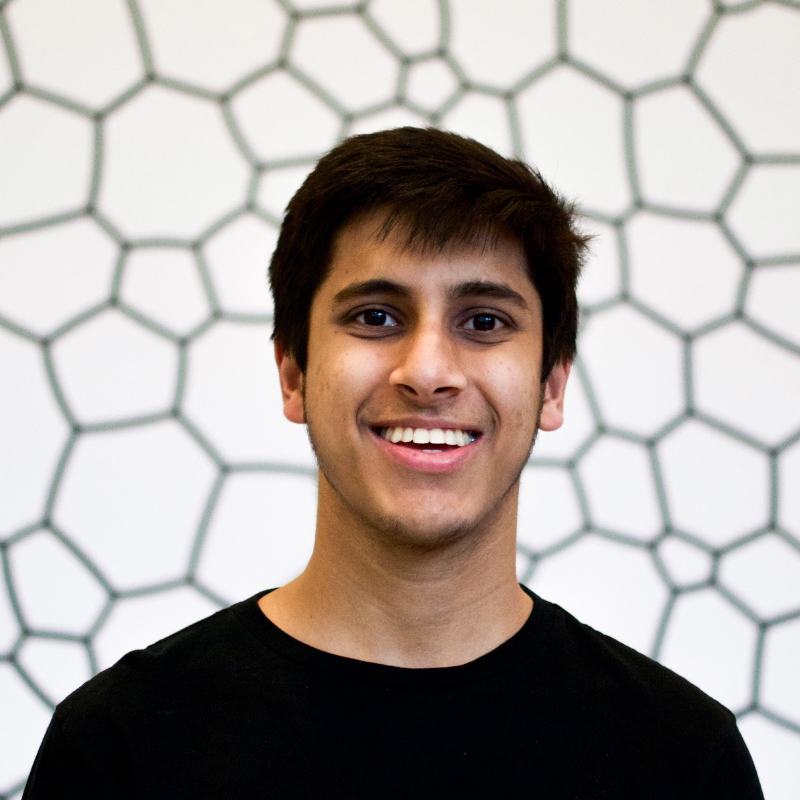 Victor is both a researcher and a Raj and Neera Singh assistant professor of electrical and systems engineering at the University of Pennsylvania. 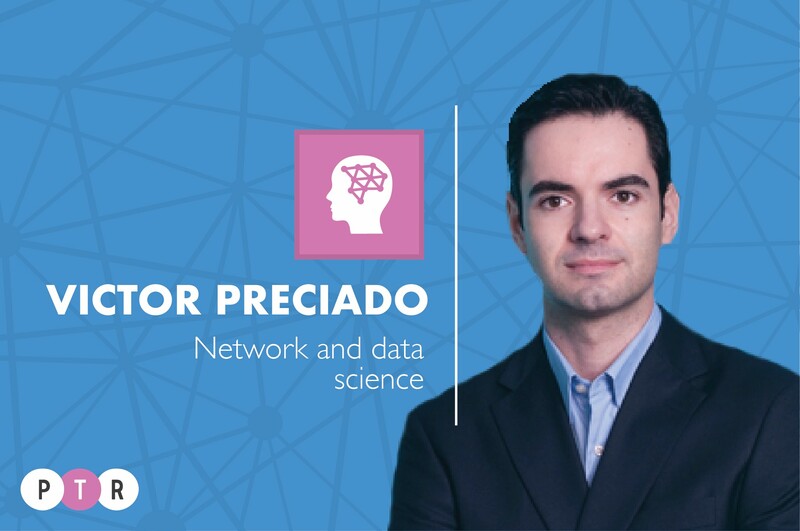 His research is focused on network analysis, optimization, and control. More specifically, Victor aims “to use mathematical and computational techniques that lie at the core of network science to capture the essence of complex, high-dimensional dynamical systems.” The applications of his research span from optimizing brain networks to better understanding sociological network evolution. Victor’s quest to contribute to these important research areas began in Seville, Spain, where he taught himself how to program on his first computer at an early age. However, his goals back then were a little different from his current research expertise. “My childhood dream was to build computer games. That’s how I got really interested in engineering and computing”, Victor explained. This initial interest in engineering and computing carried him through an electrical engineering degree during college and then to the U.S. to pursue higher education regarding engineering and mathematics. As part of his masters, Victor worked in the nonlinear electronics lab at the University of California, Berkeley. Victor’s work at Berkeley focused on “building electronic circuits for chaotic oscillators.” However, his research on complex networks began at the Sante Fe Institute. A fellowship from Sante Fe catapulted Victor to a Ph.D. at MIT, where he started his journey to understand how the structural characteristics of a network effected a network’s dynamical behavior. Victor passionately explained that networks are composed of two layers. The first layer consists of the graph infrastructure itself. The second layer consists of the processes that take place on the first layer. Victor’s current research tries to answer the following question: how do you infer properties about the second layer of the network given information about the first layer? “It’s a question I’ve always been interested in,” Victor added. Victor also focuses on network control. Specifically, he tried to answer questions regarding how to control the flow of information through a network. Victor published a paper on this topic which provided the first solution that took into account the distribution of heterogeneous rather than homogenous resources. Previous researchers had focused mainly on the distribution of a single resource across a network. Victor’s solution took into account the allocation and distribution of multiple resources. The aforementioned question ties in with other research problems that Victor has been trying to tackle. “One of the related problems we have been working on recently has to do with mapping the structural connectivity of the brain to the functional connectivity of the brain.” When you are trying to figure out where to place your hands on a rock climbing wall, different parts of your brain have to coordinate to first process information, then make a decision, and finally translate that information into a physical action. Victor tries to figure out how the physiological, or structural, part of the brain affects the outcome of the physical, or functional, outcome of a scenario. Given his talent for solving difficult problems, Victor could have jumped into an industry job of his choice at any time. However, he provided very clear justification for his decision to pursue research. One thing that really struck me about Victor was his ability to convey complex concepts very clearly. This skill is well utilized in four courses Victor teaches at Penn: NETS 312, ESE 305, and two graduate level courses. In these courses, he focuses on teaching students how to analyze networks and take advantage of large amounts of data to answer their own questions. This enjoyment is reciprocated by Victor, who values the multiplicative effect that teaching has. In the next five to ten years, Victor hopes to make Penn a leader in data and network science at the undergraduate and graduate levels. Regarding his research, Victor aims to bring his network optimization research from theory to software. In addition, he intends to increase the accuracy of his network control models.